Nicolas Roy's legacy on the QMJHL is already apparent, and he hasn't even completed his rookie season yet. The Saguenéens forward's refusal to join the Cape Breton Screaming Eagles last summer has hastened the league's latest rule changes, effective next season. Cape Breton, you might recall, had to trade Roy, the No. 1 overall, to Chicoutimi. The Quebec Major Junior Hockey League made a few tweaks to their rulebook for the 2014-15 season, and the biggest change is protocol for compensatory draft picks in case players don’t report. The league announced Monday that three changes were voted and passed. The biggest changes relate to drafting, as two rules were changed in that area. Starting with the 2014 draft, teams need to declare their request for a compensatory draft pick before the list of prospects for the next entry draft is announced. The player who refused to report will be put back into the draft pool and listed on Central Scouting’s list for the next year going forward. This is another effort to incentivise teams to go for the best players, even with the risk of them not reporting, with the reward being another high pick as compensation if they strike out. Compensation picks have been awarded in the past for first round picks who didn’t report to the team, like Roy’s refusal to report to Cape Breton last season, but there was no hard and fast rule. 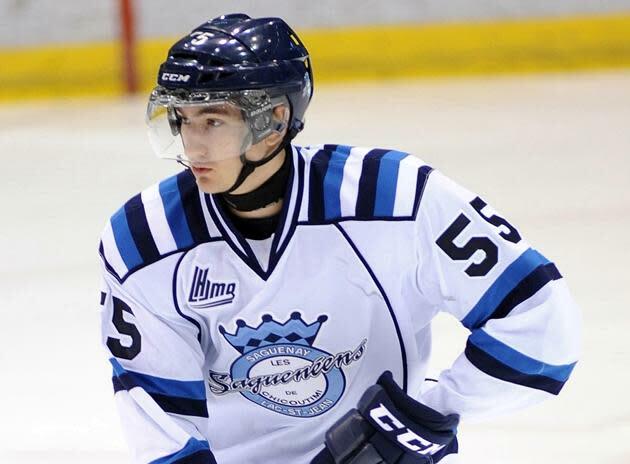 The Screaming Eagles were awarded the fifth overall pick in the 2014 entry draft for Roy’s no-show, and also acquired three first round picks out of Chicoutimi in the trade of his rights. This rule, which was not in the rulebook before, gives teams a vehicle to help in future situations like this one. The rule now states that teams receive their compensatory pick five picks below their old one, so if a team picked first and the player doesn’t report, they will be awarded the sixth overall pick. However, the rule becomes a double-edged sword, as the player is tossed back into the draft pool and can be re-drafted. Teams can always choose to keep the rights of the player and try to convince him to report. It is unclear as to when the rights to a compensatory pick are waived. For instance, if two players refuse to report in the same draft slot for two consecutive years, two picks in the same slot could be awarded, with the draft order of the previous year taking priority as to who gets to pick first. As well, starting with the 2015 QMJHL draft, teams can choose 15-year-old players in all rounds of the draft. Previously, 15-year-olds could only be selected in the first eight rounds. The league has also agreed, starting with this year’s playoffs, all goals will be reviewed by the video goal judge, strictly to avoid any ambiguity in the process.